Tight security arrangements are in place for the crucial Gurdaspur by-election. Gurdaspur Lok Sabha Bypoll: The result will be announced on October 15. 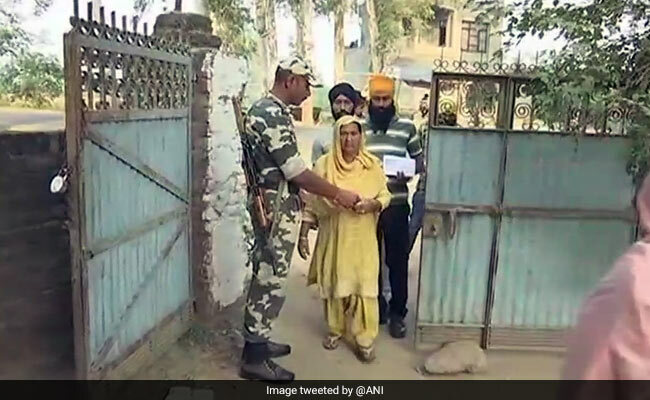 Chandigarh: Voting began for the by-election in the Gurdaspur Lok Sabha seat in Punjab today. Nearly 15.22 lakh voters, who are eligible to exercise their franchise, will decide the fate of 11 candidates in the fray. Tight security arrangements are in place for the crucial by-election. The main fight is between Bharatiya Janata Party candidate Swarn Salaria, Congress' Sunil Kumar Jakhar, who is the Punjab Congress President, and Aam Aadmi Party's retired Major General Suresh Kumar Khajuria. The bypoll will see a tough fight between the BJP and the state's ruling Congress. The Congress, fresh from its emphatic win in the state assembly elections, is set to give a close contest to the BJP, which is trying to retain the seat. The AAP, the main opposition party in the Punjab Assembly, could play a spoiler for both the parties. The result will be announced on October 15. The Lok Sabha seat fell vacant in April following the passing away of veteran actor Vinod Khanna due to cancer. Gurdaspur is the first parliamentary constituency in the country where all polling stations will have Voter Verifiable Paper Audit Trail (VVPAT) machines. The device gives the voter using an EVM confirmation about his vote.